My first print using PETG filament. Very pleased with the result, Needed almost no postprint work whatsoever. 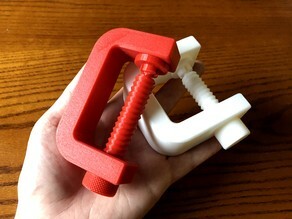 50% for clamp, 100% for screw.